(April 2nd, 2016) For the first single “So Alive” on their forthcoming “Boxes” album, Buffalo’s very own Goo Goo Dolls – John Rzeznik and Robby Takac decided on their home town for the first music video from the release. 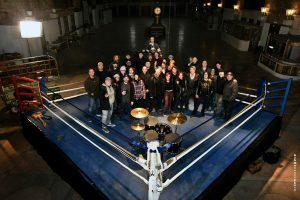 To make “So Alive” a reality, the Goo’s convinced Warner Brothers to enlisted a rock star line up of Western New York production professionals including the Grammy Award winning agency White Bicycle (Brian Grunert, Chris King) for the treatment, dPost (Andy and Beth Donovan, Shannon Silva) for the production, and veteran music video director Todd Bellanca to bring it to the fruition. When it came time to pick a location they didn’t have to look too far from where John Rzeznik grew up at the corner of Clark and Kent on Buffalo’s East Side for the epic Central Terminal. 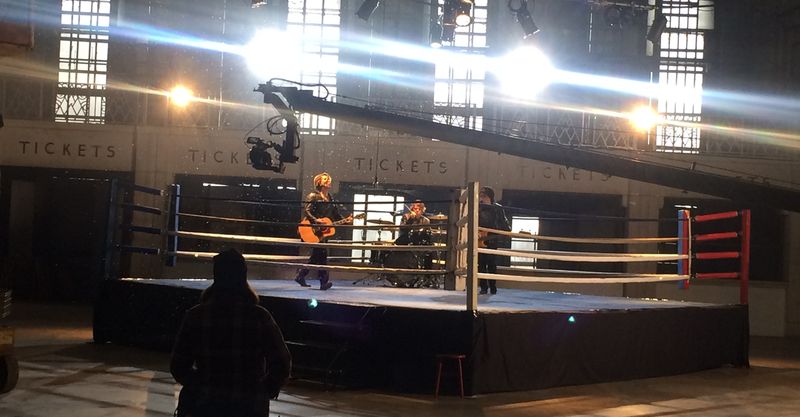 The band performed in a boxing ring on the main concourse with new drummer Craig Macintyre as part of the concept for “So Alive”.